Situated in Zrnovo, Apartments Segedin presents a private beach area. The apartment provides a satellite television and a balcony. There is a full kitchen with an oven and a fridge. Private toilet is fitted with a bath or shower. Sea view is available as well. At Apartments Segedin you will find grill amenities and an outdoors terrace. Mostar International Flight terminal 162 kilometers away from the property. Apartments Segedin ~0.1 km, Zrnovo Situated in Zrnovo, Apartments Segedin presents a private beach area. The apartment provides a satellite television and a balcony. There is a full kitchen with an oven and a fridge. Private toilet is fitted with a bath or shower. Sea view is available as well. At Apartments Segedin you will find grill amenities and an outdoors terrace. Mostar International Flight terminal 162 kilometers away from the property. 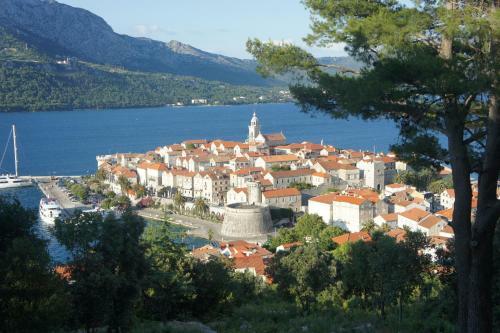 Korcula ( ~ 2.2 km ): 225+ apartments. Pupnat ( ~ 6 km ): 21+ apartments. Lumbarda ( ~ 6.2 km ): 220+ apartments, 12+ villas, 2+ hotels. Racisce ( ~ 7.9 km ): 41+ apartments, 4+ villas. Zavalatica ( ~ 15.1 km ): 135+ accommodation units. Smokvica ( ~ 17.7 km ): 3+ villas. Beach Viganj ~ 2,3 km from Apartments Segedin Gravel beach: ideal for families, with restaurant, with caffe bar, equipped with showers. Excellent choice of watersports. Beach Kuciste ~ 2,4 km from Apartments Segedin Gravel beach: ideal for families, with restaurant, with caffe bar, equipped with showers. Excellent choice of watersports. 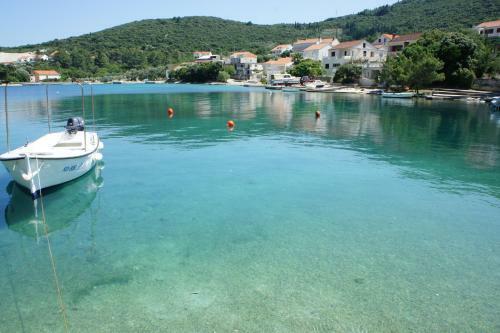 Beach Fkk Badija, Korcula ~ 4,2 km from Apartments Segedin Rocky beach: with restaurant, with caffe bar. Nudism is allowed. Beach Trstenica, Orebic ~ 6,5 km from Apartments Segedin Sandy beach: ideal for families, recommended for young people, with restaurant, with caffe bar, equipped with showers. Excellent choice of watersports. Beach Pupnatska Luka, Pupnat ~ 6,6 km from Apartments Segedin Gravel beach: recommended for young people, with restaurant. Excellent choice of watersports. Restaurant Konoba Maslina, Korcula Town Guest reviews: 7,9/10 ~ 3 km from Apartments Segedin Address: Lumbarajska cesta SV.Anton, 20260, Korcula Town. Cuisine: Croatian cuisine. 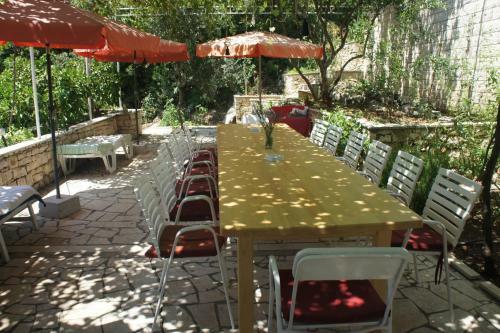 Restaurant Konoba Malta, Korcula Island Guest reviews: 8,7/10 ~ 2,8 km from Apartments Segedin Cuisine: Croatian cuisine. Restaurant Hajduk1963, Korcula Town ~ 2,6 km from Apartments Segedin Address: Ulica 67 br.6., 20260, Korcula Town. Cuisine: Croatian cuisine. Restaurant Bbq Loco Korcula, Korcula Island ~ 2,2 km from Apartments Segedin Address: Setaliste Frana Krsinica, . Cuisine: Pizza. 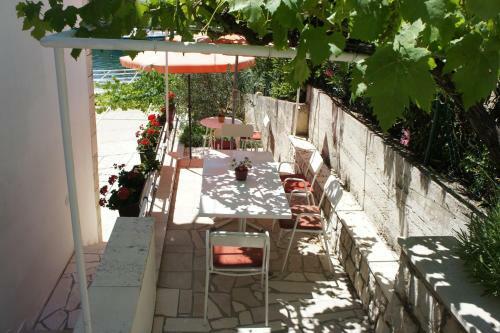 Restaurant Dos Locos, Korcula Town ~ 2,2 km from Apartments Segedin Address: Setaliste frana krsinica 14, Korcula Town. Cuisine: Bar.